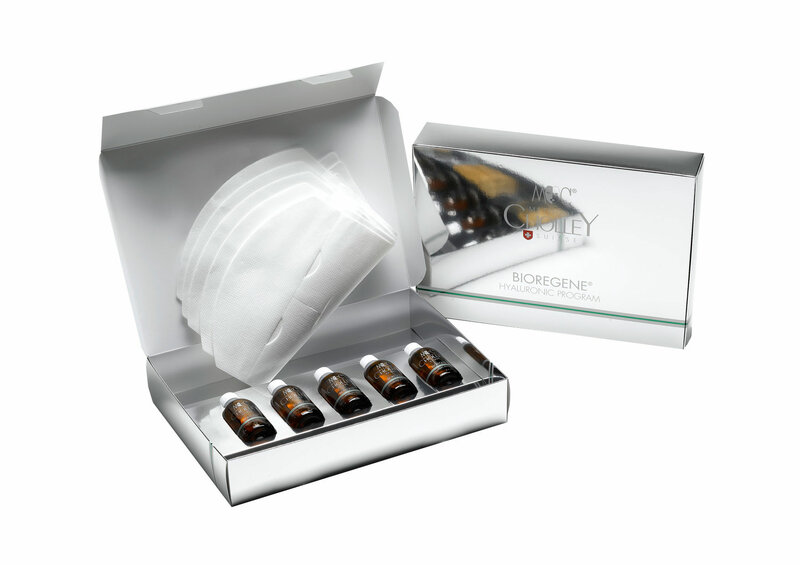 BIOREGENE Hyaluronic Program is an intense hydration and regeneration system for professional use that drastically improves the appearance of the skin with hyaluronic acid and pure collagen masks. BIOREGENE Hyaluronic Program is especially beneficial in diminishing the erythema and oxidation damage caused by solar exposure. It reduces redness quickly and reinforces the connective tissue to prevent the development of lines and wrinkles.